Orthodontics, often called as dentofacial orthopedics, is a special branch of dentistry that deals with correction of crowded and crooked teeth and altering bone growth to produce a natural, regular arrangement and a beautiful smile. 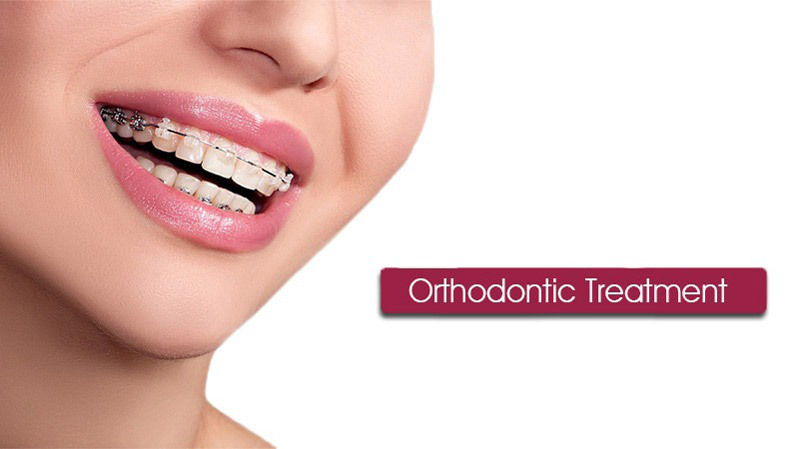 Dentists who are specially qualified in this area of expertise are referred to as orthodontist. Ratra's Dental is undoubtly one of the best dental centre with orthodontics attaining a super specialized status. We have vast range of dental orthodontic treatment without extractions modalities for kids and adults of all ages. For children we have habit breaking appliances, arch expanders, pendulum appliances, herbst appliance, space maintainers.. for their right growth and development. it is always easy to treat the problem early rather than once ill effects of wrong growth had taken place. We kindly request all parents to visit dentist as soon as first permanent teeth starts to erupt. For teenagers & adults our vast range of braces like metal braces, ceramic braces, invisible braces, coloured braces,roth, mbt ,dammon systems (self ligating braces ),lingual braces offers unparallel treatment options with comfortability. Our niti wires makes overall treatment painless and helps achieve confident smile in shorter time. Ratra's Dental is among top few clinics in india offering you the without braces orthodontic treatment. That's right no need to wear braces ( Orthodontic Treatment / alinger google search ).Even we offer choice of regular hawley's retainer & invisible retainer to our patients. this section will provide answers to most of your questions, but feel free to call us at +919818321710. Why do teeth become irregular? Before planning treatment, the Orthodontist examines the teeth, jaws, jaw joints, face and profile and studies how the patient bite and swallows. The dental and medical histories are taken. If the patient is looking for cosmetic changes in his/her smile or face, he/she will be asked about the specific goals for Orthodontic. An overbite, underbite, crossbite, gummy smile, deep smile or open bite. Thumb or finger sucking after age of 4. In some cases a patient may need to get some teeth extracted in order to fix the braces. Teeth are only removed after serious consideration. However, if the patient is referred to a qualified orthodontist at a young age and the problem is not severe, then the entire treatment may be carried out without tooth removal. It is critical therefore to visit a dentist at the earliest sign of irregular teeth so that he may refer you to an orthodontist. The treatment is certainly painless, During subsequent adjustments or wire changes, there may be mild pain. Recent advances in Orthodontics have made treatment far more comfortable. The braces become a part of you, just like a pair of spectacles. Can I continue to eat my favourite foods? Do I have to modify my diet? You can continue to eat your favourite foods but they will have to be prepared specially. Your food will have to be softened, or cut into small pieces, or be well-cooked before eating. Ice creams and colas may be had as usual but corn will have to be sliced off the cob, hard fruits will need to be sliced, nuts and chikki ground and chocolate must not be eaten after refrigeration. Foods that are best avoided are popcorn, sticky chocolates, hard nuts and fruits, hard crusts and chewing gum. These foods can break or loosen your braces making you uncomfortable and can delay treatment. How should I clean my teeth now? Brushing with braces on your teeth requires a little more effort than, if you didn't have any. Use of a soft bristled toothbrush or an orthodontic toothbrush. Brush twice a day in gentle circular motions with special emphasis to dislodge food that is lodged between teeth and the braces. Use a mouthwash to rinse additionally. Never allow plaque or food to accumulate on the teeth and braces. What else do I have to do during treatment? You may have to wear small elastic bands which you change regularly. Some treatment requires a retractor or head gear, a lip bumper and other functional appliances which your orthodontist will show you how to use. Report any untoward change or damage of the braces immediately. Does this treatment affect my performance at school/work/sports? Not at all. You will only need to take reasonable care of your braces during contact sports like boxing, football, hockey, cricket, etc. to prevent damage to the braces and injury to the teeth and lips.